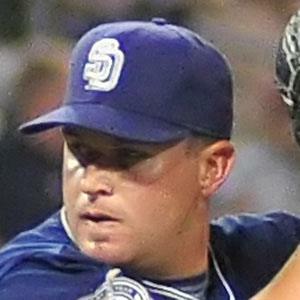 MLB reliever who debuted in 2007 for the San Diego Padres and joined the Arizona Diamondbacks in 2013. After his retirement in 2016, he began coaching the Indiana University Kokomo baseball team. He was an all-region selection on his high school basketball team, in addition to starring on the school's baseball team. In his rookie season he posted an ERA of 1.29. He married Katie Thatcher, from his hometown of Kokomo, Indiana, in 2011. He has two sisters. In his rookie season he joined a pitching crew that featured Jake Peavy.